My DD is studying in Maylasia and Thailand this summer and today she sent pictures of what she bought for me. About a yard of each, I guess. I'm so excited to see it and can't wait to come up with a design to use them! She'll be home in a couple more weeks. That is some beautiful fabric! Yummy. I'd love to have some of that too, enjoy. How thoughtful of your daughter. Bet you'll have fun creating something from them. Lucky you! 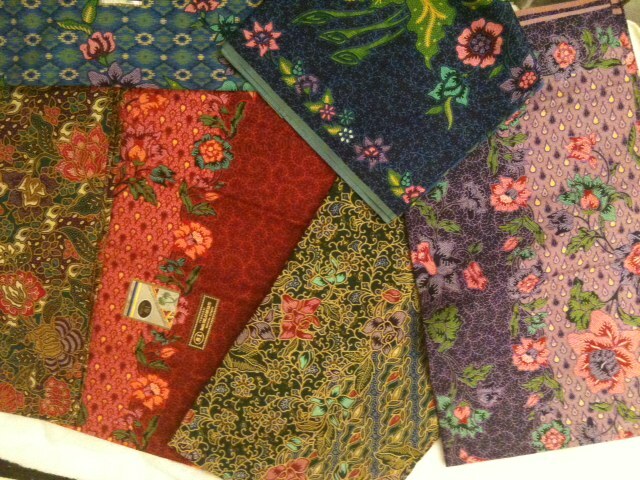 What lovely fabrics! Love those gorgeous fabrics, lucky you! Show us pics some day when you have a quilt made. Very nice..... fabric and daughter. Oh, you're daughter loves you! 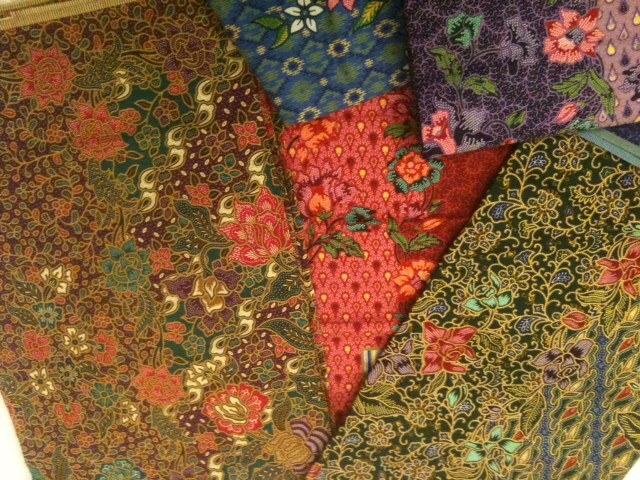 Beautiful fabrics!